I picked up a bone - in pork shoulder at Sam's one day, and like most things at Sam's, the minimum size was three times what I needed. So I used it to make three different dishes. 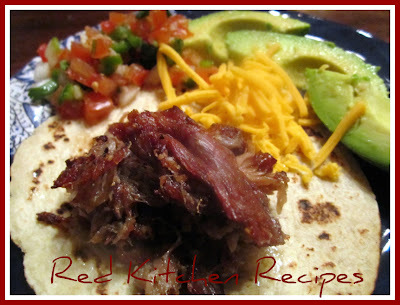 I made pulled pork tamales, tortas, and these wraps. There are so many different ways to make pork carnitas. Typically, pork shoulder is slow cooked until tender, then the outside is crisped. 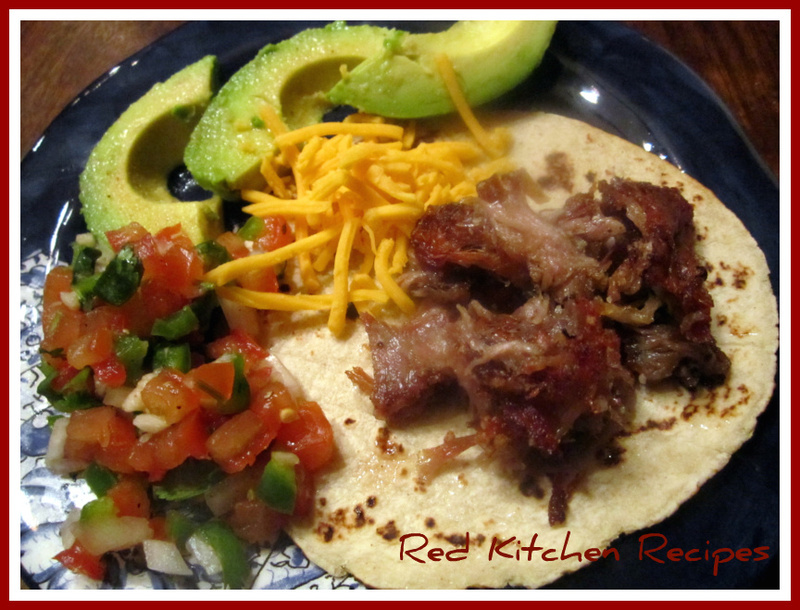 One way to do it is the way that Chef Rick Bayless does his Slow - Roasted Pork Carnitas. 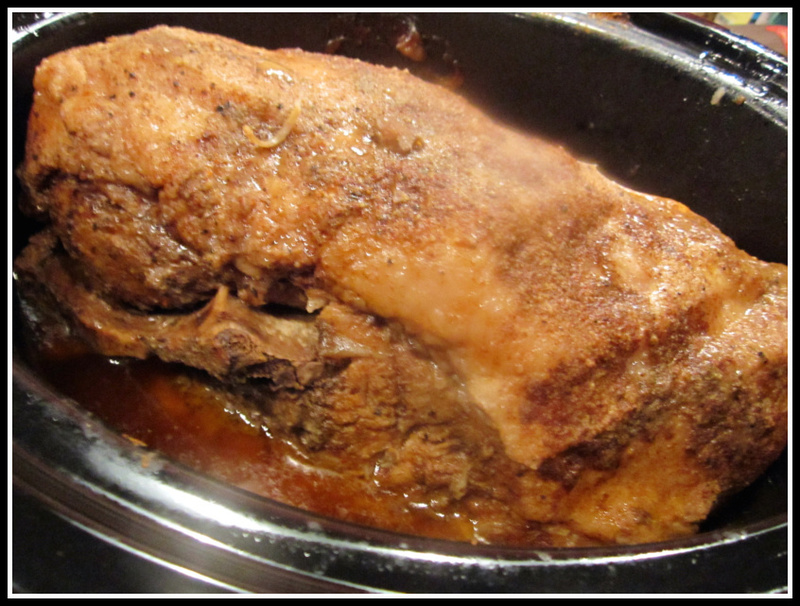 To cook a 6 pound roast, I used my 6 quart slow cooker. Jereme looks at me funny when I say slow cooker. Most people in Arkansas grew up calling it a Crock Pot. It's like saying "I need a cotton swab" instead of a Q-Tip. Just to turn this huge roast was a huge challenge with a big, long pair of tongs. So I didn't even try to brown it ahead of time like I normally would a 2 pound pork shoulder. I'm scared of what could happen on the stove with something this massive. 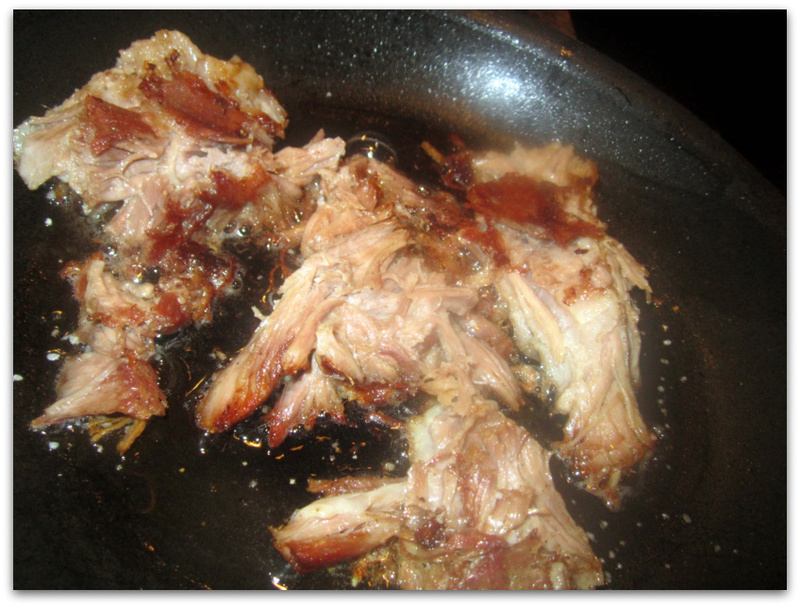 I like to use a hard anodized pan to crisp the pork after it's been slow cooked. I also like to use roasted garlic grape seed oil spray, then I spoon a little of the juices from the slow cooker on top of the pork. 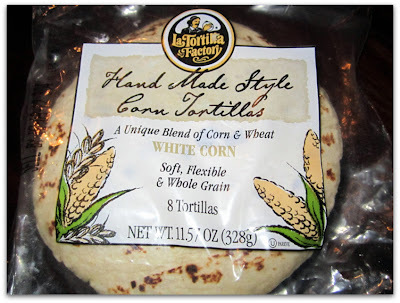 When I don't make my own tortillas with my tortilla press and masa harina, I buy these tortillas from The Fresh Market. They really are like my home made tortillas! 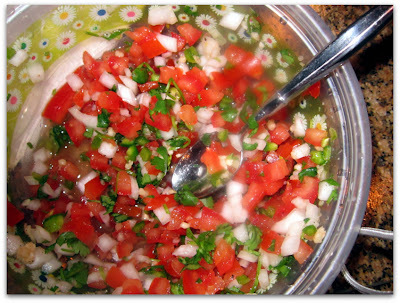 Serve the wraps with some fresh pico de gallo, sliced avocado, and shredded cheddar. Season the pork shoulder with all the following seasonings. Toss to coat. Add the pork shoulder to a slow cooker with a half cup of broth or water. Heat a hard anodized or nonstick pan over medium high heat with oil. Remove chunks of meat from the slow cooker with tongs, then add to hot pan. Cook until outside of meat is crisply browned. Just turn the meat occasionally when it looks ready. Plate the meat, then make the wraps.